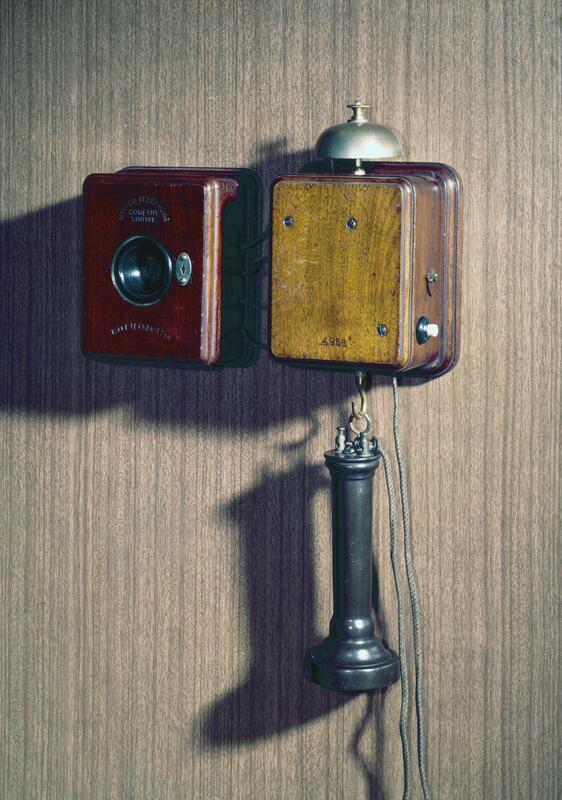 Wall telephone with Blake transmitter, made by the United Telephone Company, 1880-1890. 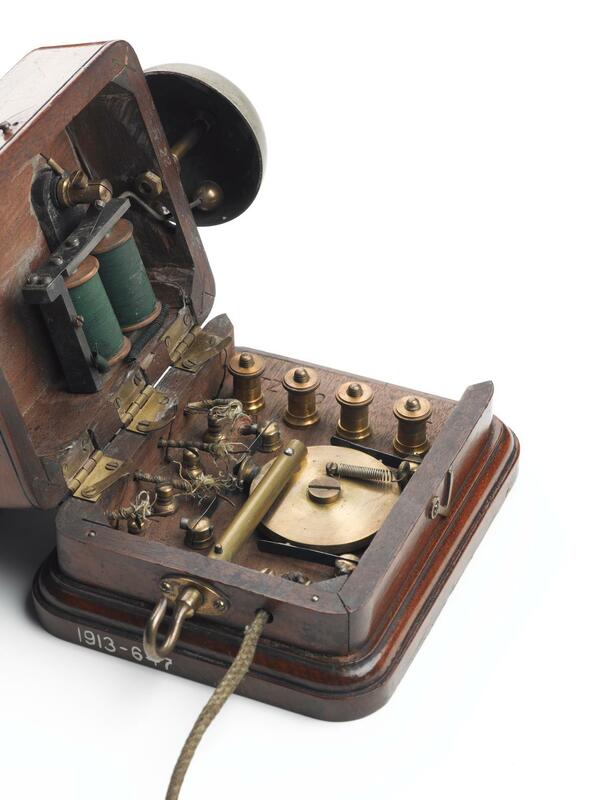 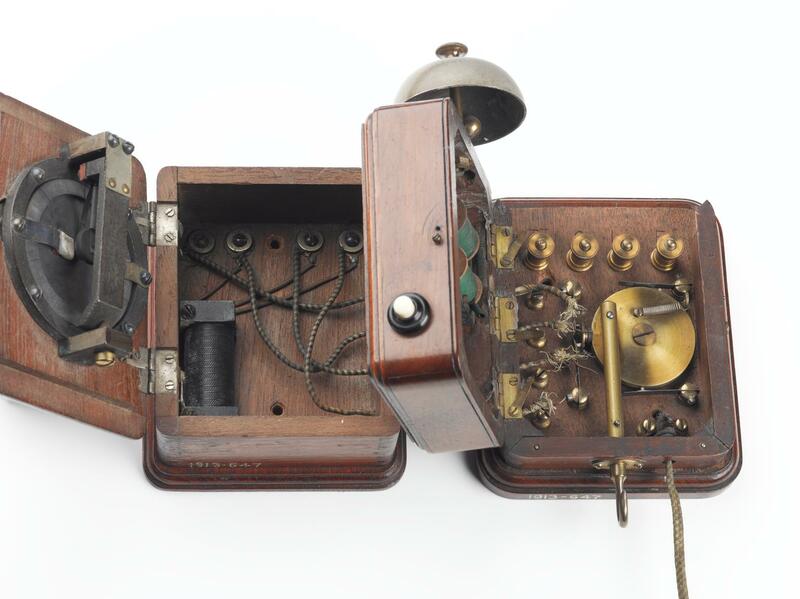 This telephone uses a Blake carbon transmitter, designed and patented by Francis Blake (1850-1913) in 1877. 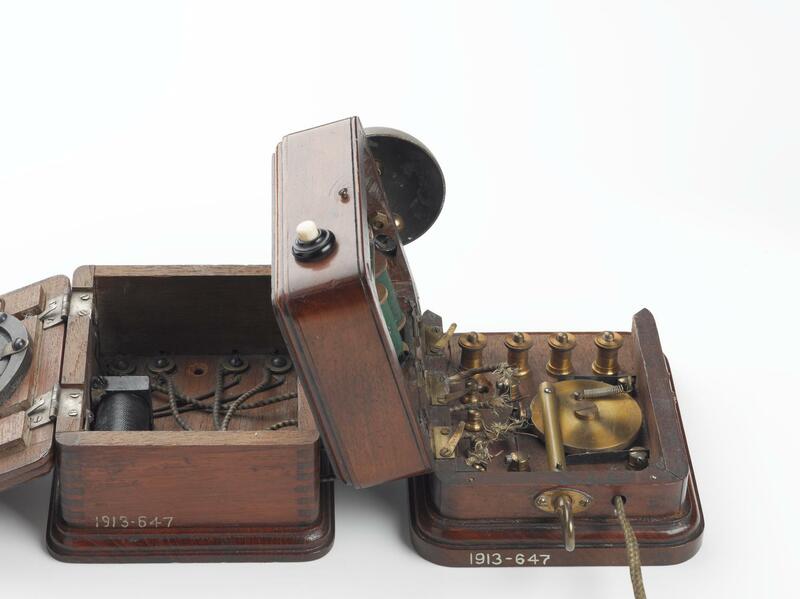 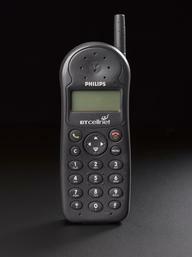 It used a platinum contact with a button of carbon to transmit speech, and was found to be more sensitive that earlier transmitter designed used in telephones. 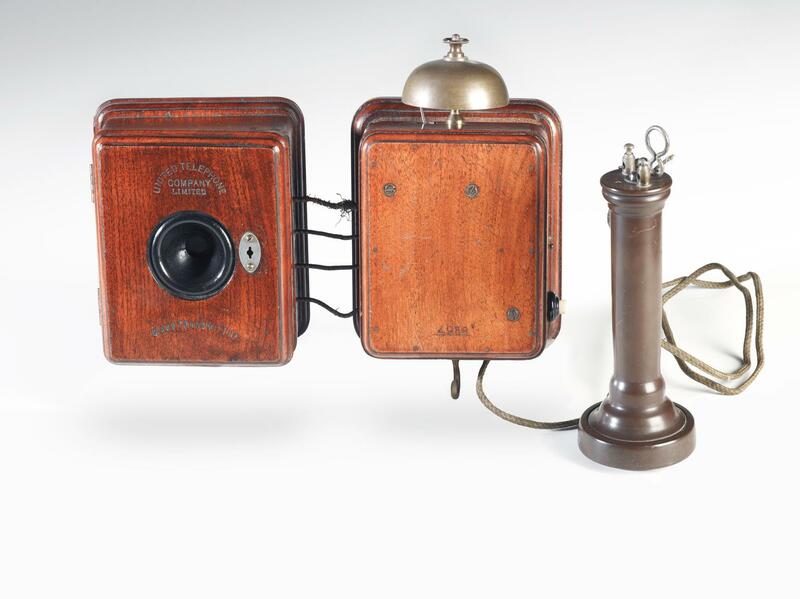 Blake was eventually hired by Alexander Graham Bell (1847-1922) and, along with Emile Berliner (1851-1929), designed the Berliner Blake microphone, which was the standard at Bell Telephones for many years.